Indentation in the carpet is a common problem to us in our homes or in our office when we move furniture and equipment because those usually leave marks. Well these marks are not pleasing to the eyes as the beauty of the carpet is affected. I have observed this thing when we move our tables in the office to rearrange our areas. As we go through our new arrangement we found indentations where the old location of the furniture and things were located. 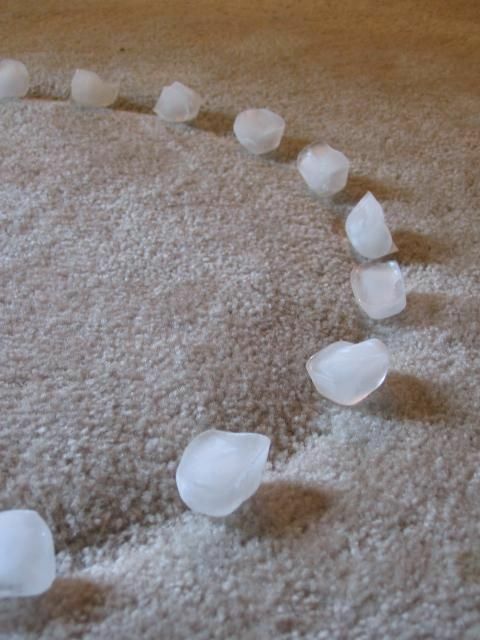 To help erase the indentation marks left by furniture you can put some ice cubes on the indentations and after sometime it will return to its former shape. With this new learned tips and techniques it's now easier to change and rearrange furniture not only in our house but in our offices as well.